It is a laminated bag of paper and film. It is a packaging bag where the product can be seen. 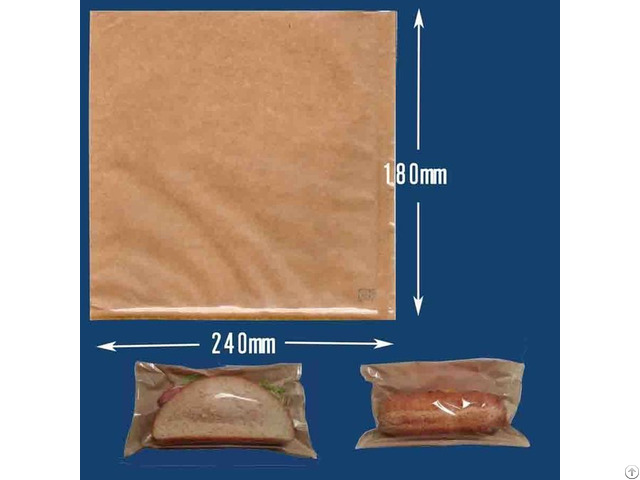 It is a cafe style sandwich bag. Ideal for use in cafes. It is a packaging bag based on the product hygiene law of Japan. Ideal for use in sandwich manufacturing plants. It is also suitable for sandwich production in cafe shops. Please use for product development of various sandwiches. In case of continuous use, we will respond to price consultation. Please contact us if you need a sample.